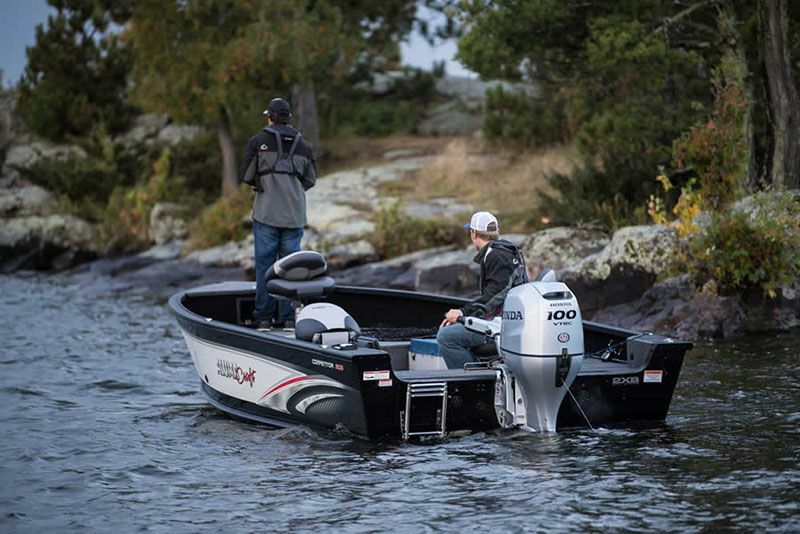 Honda's BF100 raises the bar as to what boaters can expect of mid-size engines. More power, lighter weight, and remarkable fuel economy. Add in Honda's best technology, and you've got a winning combination. 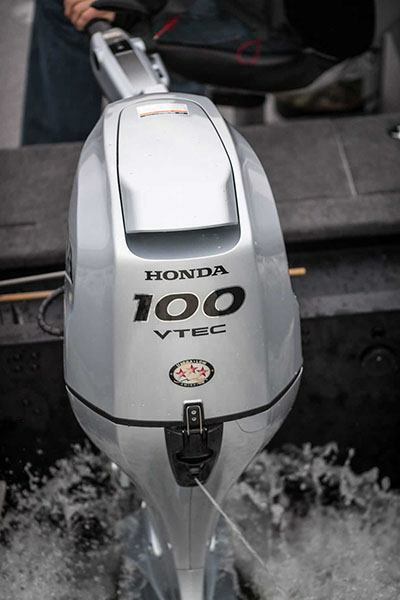 Honda's exclusive VTEC provides a superior blend of power, torque and fuel efficiency at any speed. 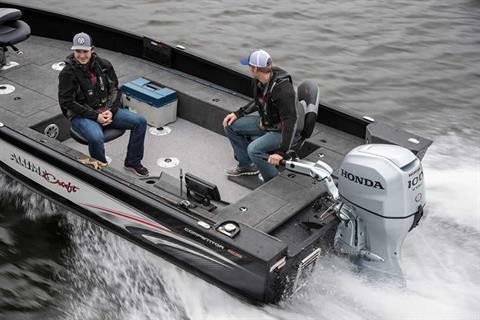 t's the same Honda exclusive feature used on Honda cars, a premium innovation put to good use on our outboards. Not to mention Multi-port Electronic Fuel Injection, BLAST, Lean Burn Control, and a 3 Way Cooling System. It's the features you want in the perfect size. LEGENDARY HONDA RELIABILITY: The technology we applied to our 100 hp outboard engine is the very same that powers one of the most popular cars in the world, the Honda Fit. LEAN BURN CONTROL® - SUPERIOR FUEL EFFICIENCY: Lean Burn Control® increases fuel efficiency by allowing combustion to operate on a leaner air/fuel mixture. At cruising speed, the BF100 runs on up to 20% less fuel* than others in its class. *Based on EPA Specific Fuel Consumption Mode. MEETS NMEA 2000 STANDARDS - ON-BOARD CONNECTIVITY NMEA: 2000 protocols allow engine data to be interfaced with on-board systems and systems displays, such as sonar or GPS. 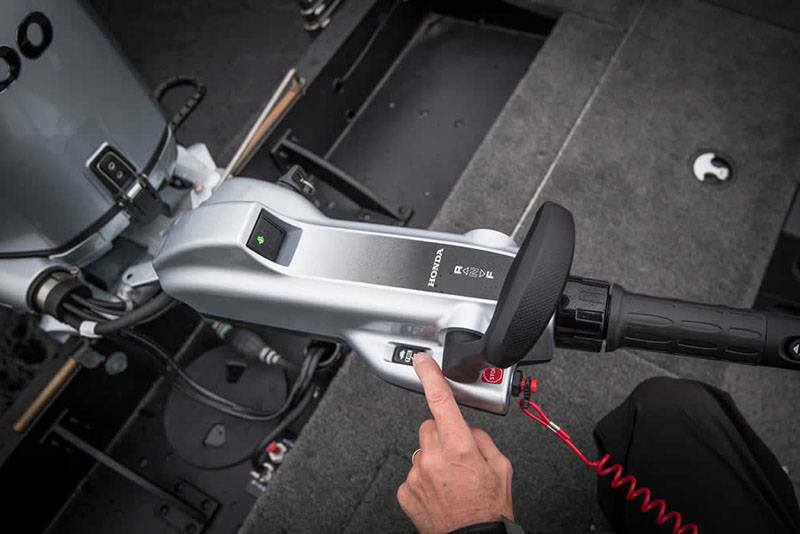 FISHERMAN FRIENDLY VARIABLE SPEED TROLLING: Another great advantage for fishermen is the BF100’s push button troll speed. Simply push up or down in 50 rpm increments from 650 rpm to 1000 rpm. It’s standard on the tiller and optional on the remote. 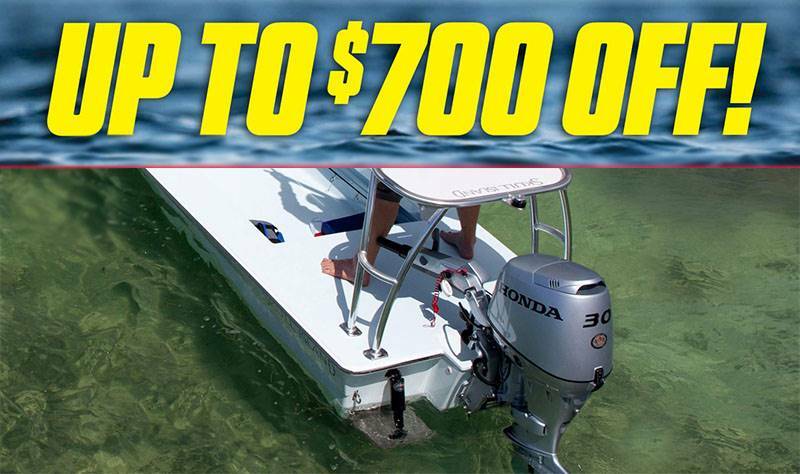 HIGH PERFORMANCE GEARCASE - GETS YOU GOING FASTER: Designed to get you going faster, the high performance gearcase reduces drag, greatly reduces hull porpoise and minimizes spray, thus increasing acceleration and top speed. A longer anti-ventilation plate helps trap water flowing to the propeller to minimize porpoising, while a streamlined front and longer bullet reduce drag for enhanced acceleration and fuel efficiency. A front splash plate reduces spray from the hull bottom, maintaining a dry deck above, and a 2.33:1 gear ratio affords the use of 13 to 14 inch diameter propellers for heavier loads. SUPERIOR BATTERY CHARGING - MORE USABLE POWER: There's always plenty of electric power with Honda's exclusive neodymium magnet flywheel. The alternator develops 44 amps in total and 35 charging amps, it's twice the output of some competitors. It provides high output and keeps battery banks charged all day, even when running multiple accessories. LIGHTWEIGHT: Weighing in at only 366 lbs., the BF100 is among the lightest engines in its class. SOHC 4 VALVE/CYL. DESIGN - MAX POWER: The powerful 1.5 L, 4-cylinder design utilizes a single overhead cam, and two intake valves to deliver maximum torque and power. 3 POSITION TILLER HANDLE: The 3 Position Tiller Handle adjusts to your comfort for easiest hull maneuverability.